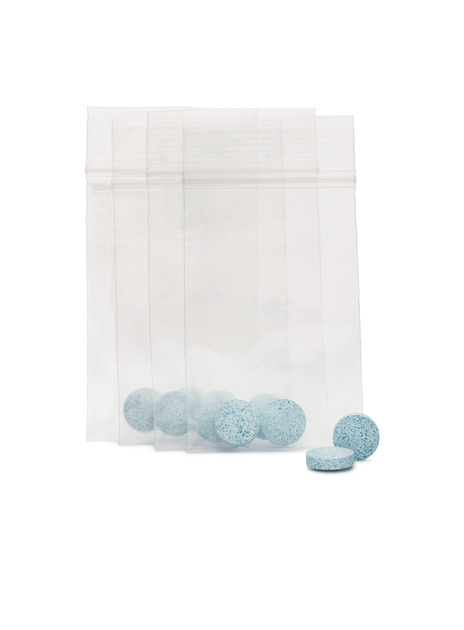 Our Bluing Tablets can be used to protect the integrity of urine samples by coloring the toilet water which can be intentionally used to dilute the sample. The tablets are easy-to-use, make no mess and dissolve quickly in water. The tablets are wrapped as a two pack and come in rolls of 50 packs (100 tablets). Tablets can be used for all bluing applications.